Fandom (consisting of fan [fanatic] plus the suffix -dom, as in kingdom, freedom, etc.) is a term used to refer to a subculture composed of fans characterized by a feeling of sympathy and camaraderie with others who share a common interest. Fans typically are interested in even minor details of the object(s) of their fandom and spend a significant portion of their time and energy involved with their interest, often as a part of a social network with particular practices (a fandom); this is what differentiates “fannish” (fandom-affiliated) fans from those with only a casual interest. The above was taken from Wikipedia. Oddly, I’ve never really been part of fandom, not in the way I understood it to be. I mean, I have every single box set of Supernatural and I have seen every single episode, the same with Buffy, Angel and gods, quite a few other tv shows and movies too, and books (obviously) yet I’ve never thought I’d become as deeply involved in a show to the distraction of anything else. Well, it’s happened. And as usual for me, I’ve come late to it. I’m talking about Teen Wolf. I know, what possibly could be of interest to me in Teen Wolf? Sure, the cast is ridiculously good looking (and young) but what else is there? Well, basically it’s the whole package and not just the cast looking hot. The writing is top notch. Jeff Davis and his team are doing incredible work on each season with each series having it’s own narrative, big bad and pitfalls for the cast of characters, but there’s also great character development for the secondary characters, which is unusual to see in a lot of shows. What I love too is the fact that the cast is diverse – across the board. And I’m not talking about colour of skin either. I’m talking about how the characters are portrayed within themselves and the sexual choices they make. 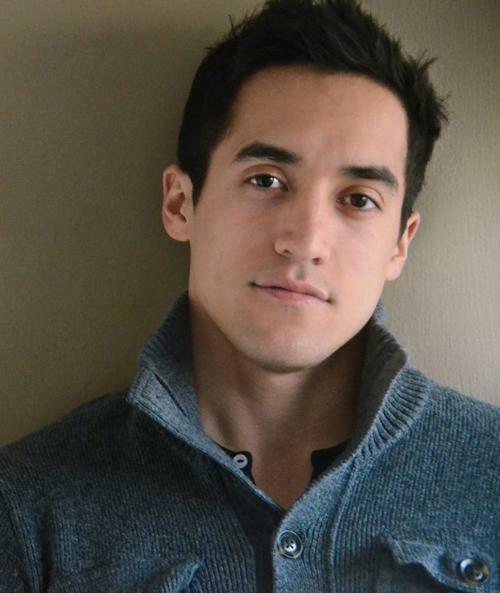 Danny, played by Keahu Kahuanui, is openly gay. This is never a thing, a negative thing, which is nice to see in a TV this popular with kids it’s actually aimed at and adults like me. And it’s never hidden – we see Danny hang out with his boyfriends, kissing and going to the Winter Dance. That’s really cool. Later in another series there’s a female couple who’ve snuck off into the woods to have some alone time as their lives are too busy and noisy and all they wanted was some quiet time. Never once is there a thing about it and no nudge nudge wink wink. Progressive and freeing! Another thing I like is how the one main character, Stiles, has this close relationship with his dad. Even if he has to lie to him (because you can’t tell your dad your best mate is a werewolf and there are werewolves wandering around the local nature reserve) he does his utmost to protect his dad and help him with these impossible cases his dad as the Sheriff has to undertake. Also, our main Teen Wolf character, Scott McCall has a very powerful and strong mum who is funny and charming and as full of beans as her son. I like that the parents are on-screen. Of course there’s Chris Argent, the other main character’s (Allison’s) dad who is a Bad Man in that he’s the head of a family that hunts werewolves….DRAMA DRUMS. And also, the two main female cast characters are strong and their stories are developed throughout the show, which is great. Lydia is especially well written and I can on one hand count a bunch of girls I went to school with who remind me of her. Another thing I love above Teen Wolf is that it’s happy to play around with mythology, sticking with origins and the usual things but mixing it up too. In a sense it does what Supernatural did way back in the beginning with its monster-a-week episodes but then it fell by the wayside for other bigger themes. In Teen Wolf we’ve got wolves, banshees, druids…other things and we’re only just starting on the second part of Season 3. Not bad going. I fell love with Teen Wolf by accident. I’m a card-carrying TW Girl. I’ve been pinning and tumblring posts about it and I’m having a great time reading people’s thoughts on the show. I love the fandom. I love that there are people out there who have thinky thoughts about this show and the characters and that the showrunners are aware of the fandom. It’s this…weirdly creative symbiosis. There are incredible bits of meta essays written about the lore of the world and about the characters. Everything is examined in minute detail and well, blow me away if that doesn’t make me happy. So, there it is. I love fandom and I love Teen Wolf for being a fun and creative show with writers and directors clearly loving what they do. Here’s hoping they trust themselves and what they’ve created and get the chance to see the show run its course. I am a fully-signed up member of many fandoms and proudly so; Harry Potter, the Hunger Games, Sherlock, Austen, Elementary, The Moomins (that last one may not be the biggest fandom but it’s a thing, definitely). I’m in love with the way that Tumblr has become my go-to place to keep them all alive. I mean, there’s going to be a thousand-year wait until the next Sherlock series – I need as many gifs as possible between now and then. I think they give like-minded people a chance to share with each other and that includes the wonders of fanfiction. There’s a dark side too though, as there is with most things. A fandom which turns its collective mind against individuals or groups is a horrible thing to witness and that can be seen all to often on Twitter. Basically, celebrate your passions but never let it take over your reason or common human decency. So, come one, spill – what are your fandoms? First of all, welcome to fandom!! My very first fandom was The X-Files and then Xena. It has in the many years since the early 90s and now branched out into Buffy, Firefly, Sherlock, Doctor Who, The Hunger Games and Game of Thrones. Some are stronger than others at various times, but all hold a little piece of my fangirl heart. Well, Sherlock. Mainly Sherlock right now. But other current and previous fandoms (you never really leave a fandom once you join) include The X-Files, Stargate: Atlantis, Stargate: SG-1, Harry Potter, Torchwood, Skyfall, Cabin Pressure, The West Wing. These are the ones where I’ve gone beyond merely watching/reading and have actively taken part in discussion and fandom. And at some point in the future I will be joining the Teen Wolf fandom. It’s inevitable. I love fandom, it’s a fantastic outlet for people and is (generally) very welcoming and non-judgmental and I’ve made loads of friends through it. The diversity and breadth of the people is incredible. I’ve learned a massive amount from the meta written about Sherlock, particularly about how someone else’s perspective can differ vastly from mine, but neither of us has the right to say ‘I’m right and you’re wrong’. It’s all about interpretation. I’m not as active in fandoms as I was as a teenager, but back in the 90s, let me tell you – there wasn’t a single piece of X-Files tat I did not own. I even had a folder full of moodily lit black and white publicity shots of Fox Mulder *cough*. My other huge obsession (and my first true love, really) was Star Trek: the Next Generation. If I’d been on the internet back in those days (suddenly feeling quite old) I would have been ALL OVER fanfiction. These days my interests are a little more spread out, so although I get intense enthusiasms every now and then, nothing has reached the heights of my Star Trek/X-Files days, although I will say that I am a massive Avatar: The Last Airbender fan and it is basically the greatest cartoon ever made.